Whereas our previous two dishes today are defined by an equal balance between two forces, David & Goliath, as you may have guessed, is a story of an underdog's triumph despite an insurmountable foe. 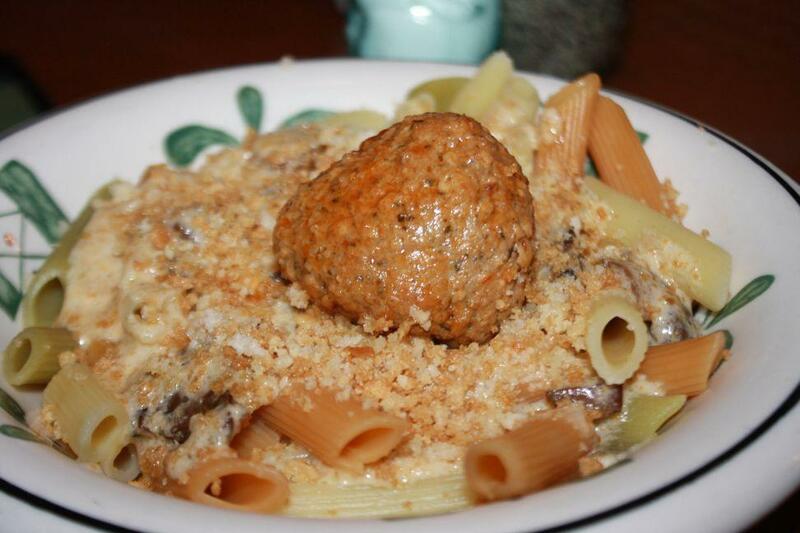 The subtle taste of roasted mushroom should really be no match for the almost grotesque sphere of meat mercilessly crushing the penne below it. Yet somehow, delicacy conquers brutality, beauty conquers vulgarity, and love, as always, conquers all. Pictured here is David & Goliath. Look at the size of that meatball - you could easily sling a giant to death with it!